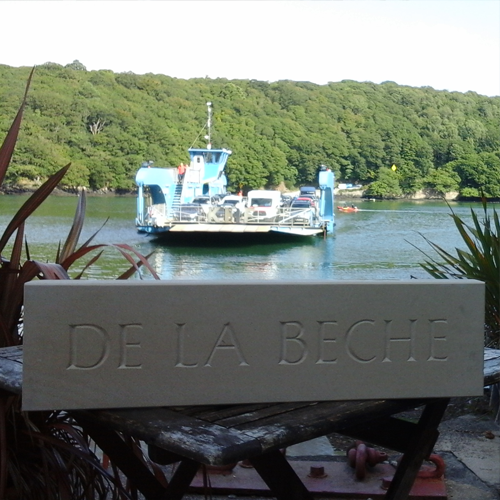 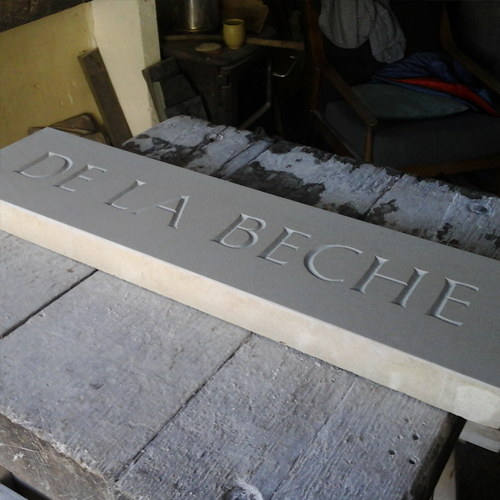 This is a house sign in Portland Stone. 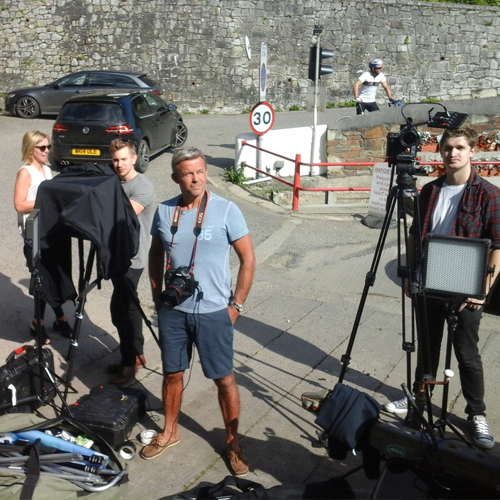 It was commissioned by the Media Company "Monkey Business Images". 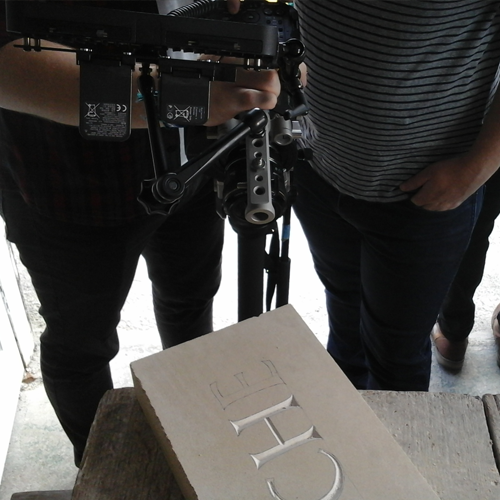 The plan was for me to carved their sign while they were taking pictures and videos for their Royalty free pictures. 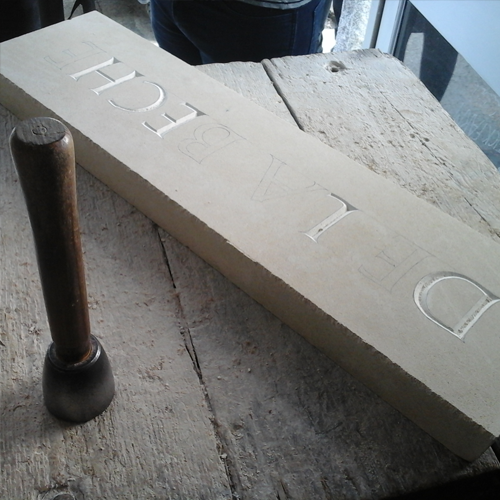 The letters are in classic Roman style. 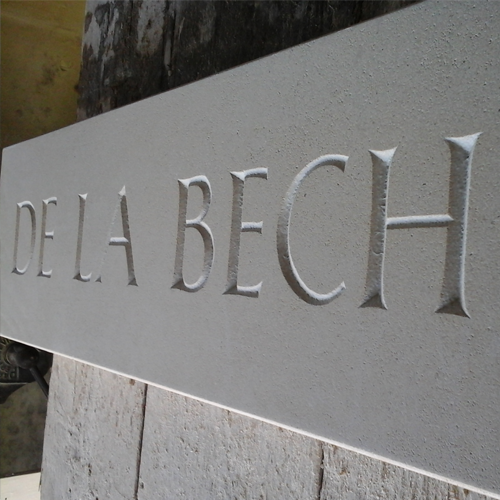 after spending months on granite, cutting some letters in limestone was a great treat!